Barot is quintessential village folk perched upon his own piece of solitude… the village of badagran in the backdrop, nestled in the agri-rich Uhl valley, Chota Bhangal region, Himachal Pradesh… Parth Joshi. Barot is a small village in Madi distt of Himachal Pradesh. Barot is famous for its reservoir which was built for Shanan hydro project. This reservoir is also used for Trout farming. Trout is fresh water fish and very popular as food. Trout exported to other states from here. Trout farming is throughout 40 km of stretch of Uhl river. There are many farms of Trout in the stretch. Uhl river is glacial river, originate from Thamsar mountain, its lakes and glacier ice. Barot valley is located on the both banks for Uhl river. Some part in Mandi distt and some part in Kangra Distt. Barot valley has may treks around. Best trek you can do is to follow abandon rail route to Head gear and winch camp. This rail route is built hydro project in 1926 somewhere. now the trolly is operational till Winch camp and rest route till head gear and Barot is not operational and broken at some parts. 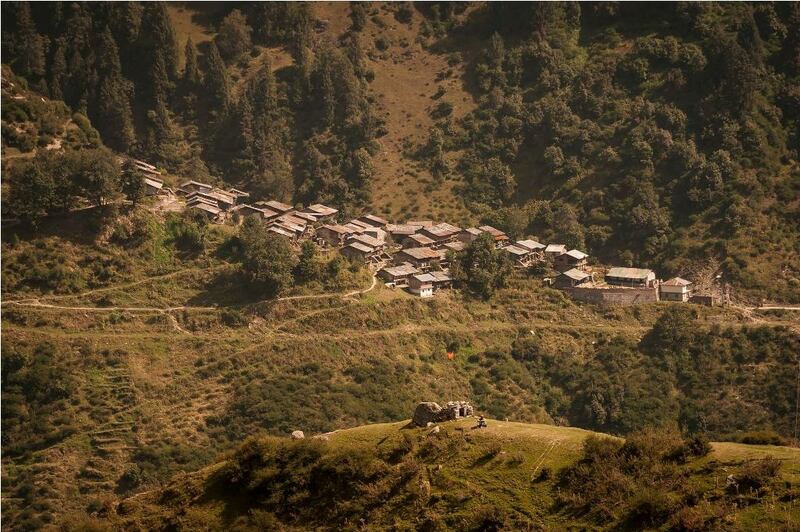 But one can trek to head gear from Barot side and then follow rail route for 3 km to winch camp. Barot is 50 km from Bir Billing by road which takes 2 hrs. One can do day excursion from Bir to Barot, start in morning to spend more time there. Barot has few guest houses which not serve food. Trout fish is best to try at Baroy valley.